You simply can’t turn on the television, radio or Internet without hearing about the Zika virus. The summer makes the days longer and provides us with beautiful sunny weather so tempting to enjoy. But many families are worried about the Zika virus and are not making the most of their backyard this season. Keep in mind there is no 100% foolproof solution to protect any of us from the Zika virus. Here are some practical steps you can take – right now – to lower your risk of attracting and breeding mosquitos on your property. The increase of the risk of mosquitos with the Zika virus has come along at a challenging time, when many areas will actually see a rapid increase of mosquitos due to a weather pattern called “El Nino.” Every homeowner and family must do their part to decrease the odds of attracting mosquitos and adding to the population. The Director of the World Health Organization has cautioned that for this year (2016), a lot of areas may see an increase in the mosquito population due to the El Nino weather pattern. The El Nino that is expected is predicted to be the strongest it has been in 20 years. So the winter months that will experience the El Nino effect will have warm, wet weather which unfortunately is the ideal breeding ground for mosquitos. Keep in mind that mosquitos can easily detect human scent. So if you’re surprised that these tiny bugs can somehow “always” find you – don’t be! I wouldn’t underestimate them either: mosquitos are amazing for their physical potential. According to WebMD.com, these tiny bugs don’t have a ton of stamina and typically their flight range is about 300 to 600 feet. Start with this: mosquitos love standing water. It’s one of their most favorite places. Take a walk around property – slowly – and be on the lookout for any potential that this exists. A few popular places you will see this include buckets, deep or shallow puddles, bird feeders or water fountains that appear in your yard. If you have potted plants along your porch or backyard, keep an eye on them and dump the water that accumulates in the dish under your potted plants when it rains, if you think it is more than your plant can drink in a few days. Cover all outdoor equipment, such as a barbecue grill or lounge chairs. These may attract tiny or larger pools of water and by covering them, you are helping to protect family and friends. Remember to wipe away the rain on top of the covers, especially if you have had a heavy rainfall, as even that can accumulate. Think like a mosquito when you go outdoors. 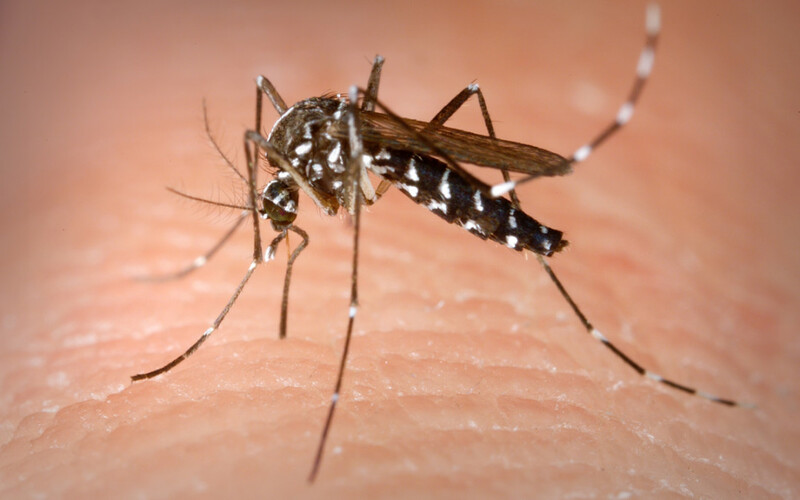 As in “if I were a mosquito, where could I bite someone?” Look at your children and family members before they go outside. WebMD.com reports that the Aedes mosquito especially prefers to bite below your knees. Wearing long pants and socks can be very helpful. Long sleeved shirts may also be a good idea, you’ll find many beach and pool style cover-ups meant to protect you from the sun’s rays that would also double as good mosquito protection. Keep mosquito repellent handy. Look for one that either has DEET or picaridin, as those are very effective at protecting you from mosquito bites. Lemon eucalyptus oil is a natural remedy for mosquito repellent. Consumer Reports tested 6 top natural mosquito repellants and the only one to perform well contained lemon eucalyptus oil. If these steps don’t rectify your mosquito issue, consider professional mosquito and tick control services. Multiple levels of protection are available for back yards or for large outdoor events. Mosquito treatments are natural. For more information, visit lawncarehotline.com. You don’t have to spend all of summer trapped indoors. Take a few practical steps to keep your family and friends safe from mosquito born viruses while enjoying the benefits of being outside.